If you have not heard of Too Slim and the Taildraggers it is not their fault, as they have done a great job of getting their music out to the masses over the past 30 years. Their efforts have included countless shows, 13 studio albums, 5 live albums, and 2 compilations, so there is plenty of their music out there for you to choose from. Originally based in the Pacific Northwest, this trio now works out of Nashville, with Tim “Too Slim” Langford on guitar, Robert Kearns on bass, and Jeff Fowlkes on drums (Kearns and Fowlkes also contribute backing vocals). This group has a distinctively hard blues-rock vibe, and though there are some pretty obvious influences in play here, the sound they end up with is all their own. By now these guys have figured out how to put together a solid record, and Blood Moon is a slick piece of work. 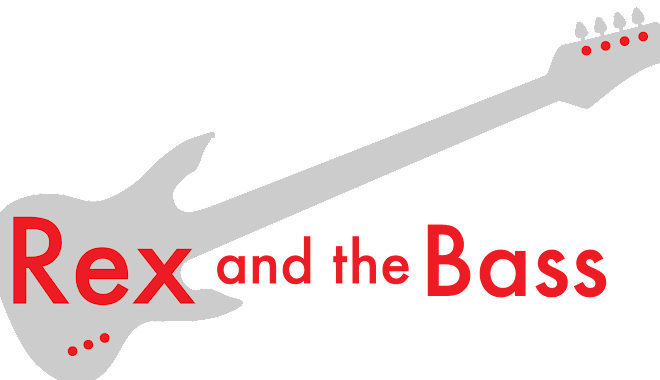 All ten tracks are originals that were written by the band, and a few of the tunes fall into the album rock 7-minute range. This project is mixed and mastered well thanks to Michael Saint-Leon who took care of the recording at The Switchyard in Nashville, so all of the basic stuff is taken care of. The band’s 45-minute set starts strong with “Evil Mind” which sets the tone for the rest of the CD. Though there are only three members in the group they do a great job of filling the stage with a sweet bass ostinato over heavy drums, and background vocal harmonies on the chorus. Langford is a searing guitar hero, and he tears off a couple of epic solo breaks. After this ends there is a neat bit of 1970s-inspired psychedelic AOR blues-rock, and Too Slim does a fine job of channeling his inner Robin Trower with the slow grinding “Blood Moon.” This blues jam has all the right components, including distinctive doubled guitar and bass and a healthy dose of heavy ride cymbal. “Twisted Rails” brings a lot to the table. It is heavy funk with a touch of psychedelia and strategically placed harmonizing. The lead vocals dig a little deeper and are more aggravated, and Langford brings his wah pedal into play as he lays down more killer guitar leads. This is all good, but the real story is Fowlkes’ drum kit, as at times the final product is more like a drum solo that has a song written over it. After five minutes of this, the tune changes into a more traditional blue rocker for the final few minutes, which is a pretty cool change-up. But there is more than British invasion blues rock and 1970s sounds going on here, as the Taildraggers also nail down a respectable country rocker with the highly contagious “Get Your Goin’ Out On.” Then there is the bluesy power rock ballad, “Gypsy,” with its heavy backbeat, and the hard-rocking “Good Guys Win” with its insane bass parts from Kearns. Then there is the final track, an instrumental reprise, and “Twisted Rails (Slight Return)” proves to be an interesting coda to an impressive collection of tunes. These songs are all solid, but there are a few standouts on this disc. The first is “My Body” with its layers of acoustic and processed electric guitars. It has a softer feel with melodic Gary Moore-esque leads that contrast nicely with the raspy vocals. The other is “Letter,” which defies attempts to stick it into any one genre. It is a hard-driving tune with a raunchy intro over a 12-bar blues base and vintage rock do-wop backing vocals. Intermittent surf rock themes give it a fun vibe, which may seem weird on paper but it works marvelously through the speakers. It should also be mentioned that the band has included liner notes complete with lyrics for the songs, which is almost unheard of these days. This is a nice touch that a lot of bands no longer bother to deal with, and the Taildraggers’ efforts are appreciated. 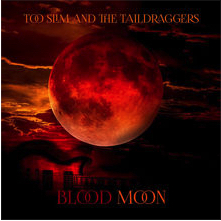 Too Slim and the Taildraggers’ Blood Moon is a hard set with blues, rock, and country influences, and the songs are well integrated into a single entity. It is some of their best studio work yet, and their live show is equally enthralling. Be sure to check out their website, as they have a lot of gigs coming up throughout the spring and summer, as this trio has to be seen to be believed!